At Cummings Termite & Pest Control, we are dedicated to helping you achieve a pest free home. When it comes to Gilbert pest control, residents are faced with plenty of unique challenges. Because of this, sometimes a more comprehensive approach needs to be taken to ensure that your problem is solved once and for all. When it comes to situations like termite control, Gilbert residents and business owners need to ensure that they won’t have to continually address this destructive problem. Cummings is also proud to provide effective home sealing techniques that eliminate all access points for many other pests. Whether it’s something simply annoying like crickets or more serious like scorpion control, Gilbert homes and businesses can benefit greatly from this popular service. Sometimes, especially when it comes to issues like bee removal, Gilbert residents may have a hard time finding exactly where the problem is stemming from. 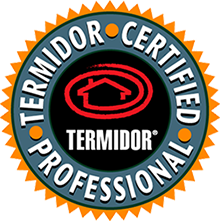 Cummings Termite & Pest Control utilizes unique thermal imaging methods that paint a clear picture of where they need to focus their attention to eliminate your problem.